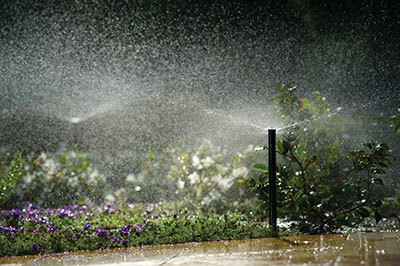 What’s new with irrigation design software and how contractors are using it. Landscape design software has proven to be a valuable tool for contractors, giving them a way to show clients what their projects will look like once installed. But with irrigation design programs, it’s more about the calculations, parts, water flow, pipe layouts and schedules than showing aesthetic value. To better manage all the components of an irrigation design/install project, many landscape contractors are turning to irrigation software. The irrigation software products are adapting to better meet contractors’ needs with new features, as these professionals as explain. 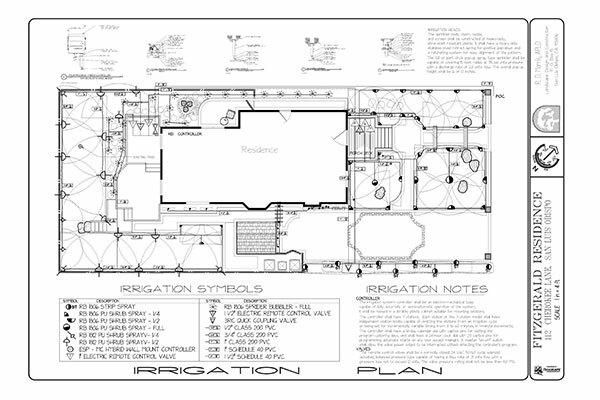 The type of irrigation design/install software landscape contractors opt for mostly depends on the size and scope of their projects and if it’s going to help them streamline the design process. Matthew Copp, PLA, ASLA — principal-in-charge of MRC Landscape Architecture — says he turned to irrigation software to become more efficient with his projects. Located in Oxford, Miss., his company is a full-service land planning and landscape architecture firm that offers design services for drainage, planting, irrigation, hardscape, outdoor living, recreational and public spaces. It provides design services for commercial, public and residential properties and has an annual revenue of less than $250,000. They looked at numerous software options and talked with other professionals, eventually choosing Irrigation F/X from Land F/X, mainly because of its functionality and user support. “The software utilizes ‘projects,’ and the user inputs information and preferences into a given ‘project’ and that information is used as a base for all the work generated on a specific design or project,” Copp says. It also allows users to input project-specific data that helps with pipe, valve and pump sizing, he says. There are ways for contractors to generate schedules for materials, water usage and watering, and they can all be exported to spreadsheets, Copp says. “If changes need to be made to a design for whatever reason, the user can very efficiently make revisions and—with a few clicks of a mouse on the irrigation toolbars—regenerate new irrigation schedules,” Copp says. Gus Wesson, a licensed landscape architect, certified arborist and director of leisure services for the city of Gulfport, Miss., also has used Irrigation F/X, along with AutoCAD as a base program. He says he never truly invested in Irrigation F/X because the majority of his work didn’t involve irrigation, so he mainly used AutoCAD to produce drawings. “This just requires more in-the-field knowledge of irrigation instead of trusting in a preset program,” Wesson says. While there are lower-cost software options, Wesson says he doesn’t feel like those are as accurate — although they might be fine for designing smaller systems. He recommends investing in an AutoCAD-based software for any designs that are going to be included in construction documents for bid or were consistently large in scale. “But the key is to remember that software is only a tool, so the user must have the knowledge base to create the proper design,” Wesson adds. Just like any other computer-based program, it’s important to find irrigation design software that’s regularly updated to meet hardware and user requirements. Copp notes Irrigation F/X’s updates and modifications—like user commands, symbols and schedules—are based off of user input. Other design options like DynaScape Design also see a steady flow of updates. DynaScape has an irrigation layout and design component and includes tools to calculate length of pipe, count parts and a way to export parts lists to MS Word or Excel. Users with DynaScape Design and Manage360 can transfer their irrigation plans to their cost-based estimate to streamline the process. DynaScape recently has added the ability to create takeoffs, material lists and purchase orders to its software, says Joe Salemi, DynaScape product marketing manager. The software has some new irrigation symbols, as well. There’s no one-size-fits-all answer for which irrigation design software is best for a given contractor. It comes down to what they want to use the software for, desired features, their budgets and if the product will grow with them in the future. Another consideration is the software’s system requirements and if the contractor’s computer has adequate hardware to smoothly run the program, Copp adds. Deciding which features and capabilities are must-haves is also important when narrowing down the search for software—and Salemi says the most important thing to confirm is that the software can easily count all the irrigation parts. That allows users to quickly produce a material list for estimating and ordering, helping to streamline the process. But no matter the software product, irrigation design/install software is a way to make companies more efficient in something they’re already doing.